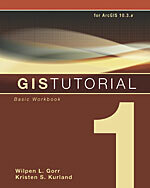 Updated for ArcGIS 10.3.x, GIS Tutorial 1: Basic Workbook is a foundational text for learning ArcGIS for Desktop. The workbook covers GIS tools and functionality, including querying interactive maps, collecting data, and running geoprocessing tools. The latest edition includes a new chapter about analyzing street network data to solve routing and facility location problems using ArcGIS Network Analyst. With detailed exercises, "Your Turn" sections, homework assignments, and instructor resources, this book is suited to the classroom. Data for completing the activities and a free trial of ArcGIS are available for download. March 2016, 486 pp. Paperback ISBN: 9781589484566 and e-book ISBN: 9781589484641. 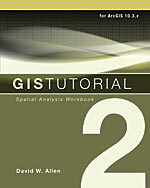 GIS Tutorial 2: Spatial Analysis Workbook contains hands-on exercises that help intermediate GIS users build problem-solving and analytical skills. 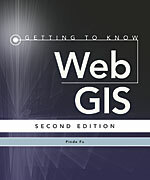 A companion to The Esri Guide to GIS Analysis book series, GIS Tutorial 2—which has been updated for ArcGIS 10.3.x—builds on the series' core concepts by exploring spatial analysis methods such as change over time, location and value comparisons, geographic distribution, pattern analysis, and cluster identification. 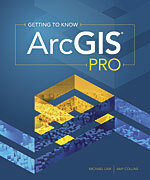 Data for completing the exercises and a free trial of ArcGIS are available for download. Instructors have access to additional resources as well. January 2016, 424 pp. Paperback ISBN: 9781589484535 and e-book ISBN: 9781589484597. Getting to Know ArcGIS Pro shows new and existing GIS users how to get started with mapping and solving problems using ArcGIS Pro, the newest application included with ArcGIS for Desktop. The book guides users through the program's easy-to-use interface and demonstrates how to visualize, query, create, edit, analyze, present, and share geospatial data in both 2D and 3D environments. Designed to facilitate an efficient and effective learning process, Getting to Know ArcGIS Pro uses practical project workflows to teach the basic functions and capabilities of ArcGIS Pro, an indispensable component of the ArcGIS platform. Data to complete the exercises and a free trial of ArcGIS are available for download. March 2016, 478 pp. Paperback ISBN: 9781589484573 and e-book ISBN: 9781589484580.